Announcing Blockpath's Tax Prep Tool! Blockpath is excited to expand our offerings for professional accountants and crypto traders with the announcement of our new Tax Prep Integration. To upload exchange trades, deposits, and withdrawals into Blockpath's tax prep tool, you can import an Excel spreadsheet .xlsx file containing the trades. We've tried to make the format as simple as possible, so it will be easier to format your data correctly for our tool. Below are the 8 columns of data necessary. The first row in the document is assumed to be a headers row, and it will be ignored. We are going to take our accounting tools to a professional level this month. However, we are close to releasing a full tax prep integration that will do this for you plus much more. We are planning for the tax entries in QuickBooks to be more for constant reference of your tax obligations from your normal QuickBooks accounting, while the tax prep integration will be a fully featured tool that supports exchanges + other cryptos when it comes time for tax reporting. QuickBooks Video Guide: Setup Blockpath Bitcoin Sync in Under 3 Minutes! How Blockpath decides to import transactions into your QuickBooks account is managed by the user controlled Transaction Rules system. The rules each have customizable triggers and actions to decide when and how to apply the rules you create. Blockpath supplies default rules, which create the correct transaction for most users, but additional rules can be created to give you more control over your accounting. In an effort to keep our users up to date with the latest features and improvements on Blockpath, we've created a page that will list the changes each month. Create your own Bitcoin QR Code here. This app helps you create a Bitcoin QR code you can save and display on social media, a website, or physically print it to easily accept donations and payments to your Bitcoin address. I believe I've found the issue. I think a portion of Blockpath's UI during QB account creation is confusing and could be improved to make the process clearer. A Blockpath wallet supports having private Blockpath-only addr/xpubs, along with QuickBooks addr/xpubs. Unfortunately, when upgrading a Blockpath account to support QuickBooks, the Blockpath-only items need to be deleted from the wallet and re-added as a QuickBooks item. I'll send you an email with a more detailed response. I've added a small warning in the account manager window to explain this as well. To your initial balance question: Currently, no, you can not set an initial balance for an account. All transactions for the addresses are synced into QuickBooks from the start. Previously, I did have a feature to start the transaction sync from a start date the user enters and set an initial balance for transactions before that, but this complicated the capital gains/losses + reconcile features a bit. If this is something you are interested in, I can definitely look into it again, it is possible. Thank you so much for using Blockpath. I really hope this can make your accounting easier, manual data-entry is no fun! I'm available 100% to make this better for you, and I'm crediting your account for an extra week free for your troubles. I'm looking into your case now. Blockpath should create QBO accounts for each of your addresses/xpubs you add into Blockpath, and begin syncing all transactions into QBO after completing the setup and enabling the sync from our dashboard. I'll send you another message soon when I have more information. More people every year are accepting Bitcoin in their business, and combining it with your traditional accounting methods can pose some difficulties. 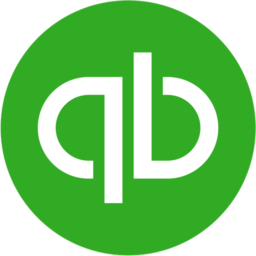 Let's discuss how to integrate Bitcoin into your QuickBooks Online account. We have noticed that bug before, and we have confirmed it is a problem with QuickBooks. It can happen when an account is deleted and then recreated in a short time period, QuickBooks gets confused on the account's balance somehow. It can be fixed by simply running the Reconcile feature from within QuickBooks (not Blockpath!). That seems to force QuickBooks to recalculate the account's balance and should fix the issue. I'm glad you are enjoying our app! Don't stress and waste time checking your Bitcoin balance everyday! Get an email notification whenever a transaction into or out of your Bitcoin addresses occurs. Useful for many purposes: Monitoring donation addresses, payments from clients, watching cold wallets... Always know where your Bitcoin are at all times. An easy to use Bitcoin price converter. Convert between Bitcoin, mBTC, uBTC, satoshis, US Dollar, Chinese Yuan, Japanese Yen, Pound Sterling, Euro, Thai Baht, and Canadian Dollar. By default the app rounds to the currency's typical decimal precision, but you can toggle this to show up to 8 decimals for more precision. Blockpath automatically calculates and places your capital gains into QuickBooks in a parent income account named 'Crypto Capital G/L'. Bitcoin held for less than one year is placed into a sub-account named 'Crypto Capital G/L - Short Term', while gains from longer than one year are placed into 'Crypto Capital G/L - Long Term'. Reconciling accounts is a feature where Blockpath checks the Bitcoin data within QuickBooks for accuracy. We will look at the balance and transactions of each Bitcoin account within QuickBooks, and compare against current Blockchain data. Blockpath automatically runs this reconciliation after various user actions, but we've made it available to be run manually for peace of mind when reviewing your finances. The accounts that Blockpath will create and sync into QuickBooks are controlled from Blockpath's Wallet Manager. Accounts are groups that contain your addresses you want to monitor. Access the Wallet Manager from the QuickBook app, or from above the summary section on the transaction page. Sometimes you want your Bitcoin transaction data in a simple Excel .xlsx format, so you can move it to other applications and process it with your own tools. We've made an app that will export all transactions currently loaded in your wallet/search page into an Excel format. An xPub is a public key that HD wallets use to generate unlimited new receiving addresses. Given an xPub, you can derive all possible receiving addresses. However, different wallets use different methods to derive these addresses, and it can be difficult to know which method and which addresses have been used. You can now view bitcoin amounts in other currencies, including your fiat currency in the exchange rate at the time of transaction! Access this in the settings menu on the left sidebar of a search page. We've added many tools in a new tab on the search/wallet pages, including a price chart, xpub analyzer, currency exchange calculator and a feature to export data to XLSX. New Features: Privacy oriented address tracking with address+tx labeling. I've been pushing out features that will help you to manage and track your blockchain activity more easily. No more having your coins randomly scattered between hardware/phone/paper wallets and not knowing their status, here is a dashboard for tracking all of your coins. After starting an ordinary search, open the "edit search" tab to add multiple addresses/xpubs, label them, and then save your watch-only wallet. You can convert the currency units used to -> mBTC, Satoshis, USD, CNY, Euro and more. Use the settings button in the table toolbar to select your currency. Login to your Blockpath account to save your currency + graph settings for when you come back. Import multiple addresses, transactions, or xPubs by opening the "Add Address" button at the top of the table page and pasting a comma-separated list of items. New Feature: You can now search for a xPub account! © 2019 reddit inc. All rights reserved. π Rendered by PID 26312 on ip-10-0-0-43 at 2019-04-22 12:22:50.243985+00:00 running f838d3f .